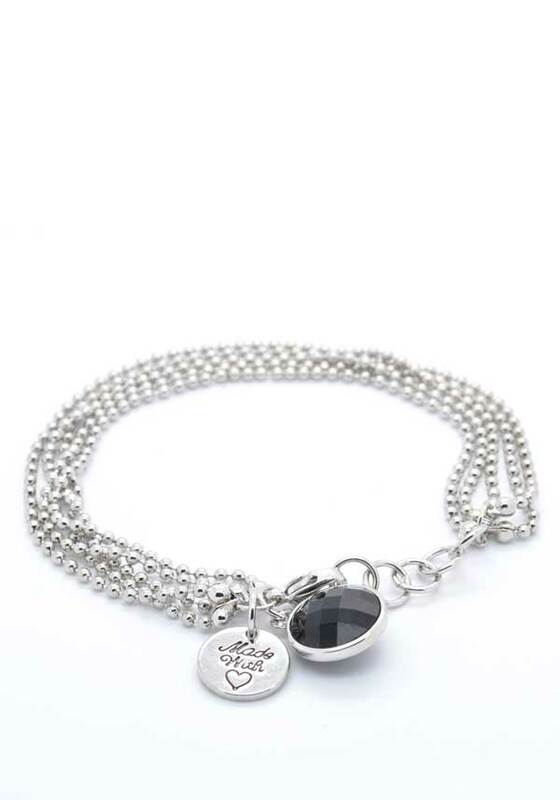 5 strands of fine ball chain create this unusual bracelet, the perfect edgy accessory for the super stylish girl. 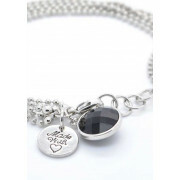 Featuring 2 charms, one Absolute Jewellery Logo tag, and a shimmering black crystal. Effortlessly cool.